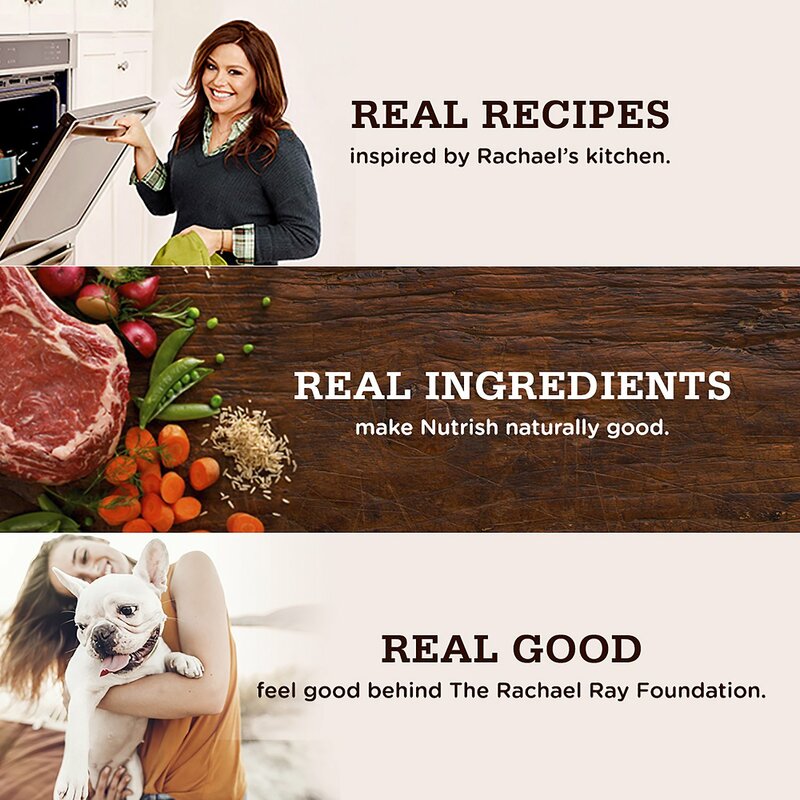 Serve your sidekick a meal made with the same, quality ingredients you serve at your dinner table with DISH Stews Real Chicken & Veggies wet dog food from Rachael Ray Nutrish. 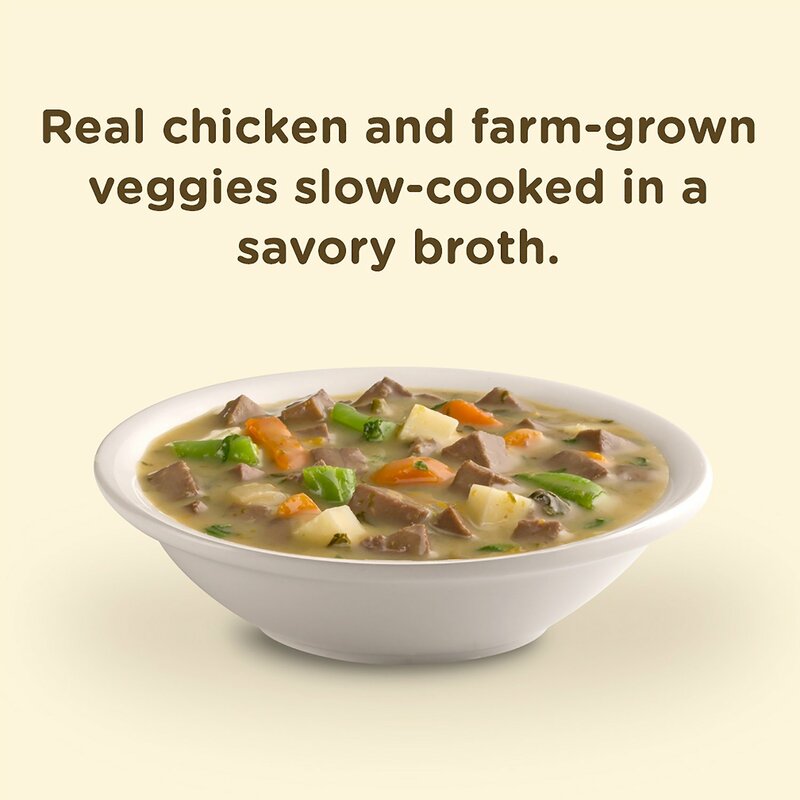 Real chicken and farm-grown veggies combine in a savory broth to create a stew packed with wholesome foods you can see. Every bite is packed with everything your sidekick needs to look and feel his best, including vitamins, minerals, omegas and antioxidants. So, fill up his bowl and satisfy your BFF's instinctive cravings for real meat—he'll savor every bite while you feel good about keeping him satisfied and nourished from nose to tail! Tender cuts of chicken, butternut squash and veggies create a delicious, wholesome meal with real chicken as the first ingredient. 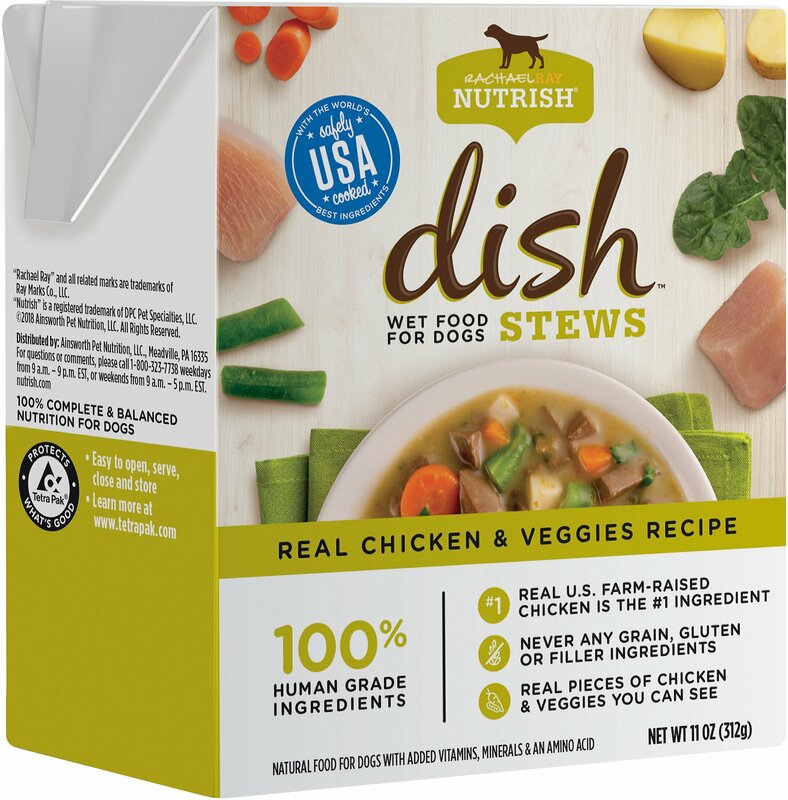 This high-protein food is made with no grain, gluten or filler ingredients, so you can trust what you’re serving your pup is as healthy as it is affordable. Boosted only with added vitamins and minerals, this complete meal is sure to give your dog all the nutrition they need. A palatable plate with all the tastes and textures sure to please even the pickiest of pups. 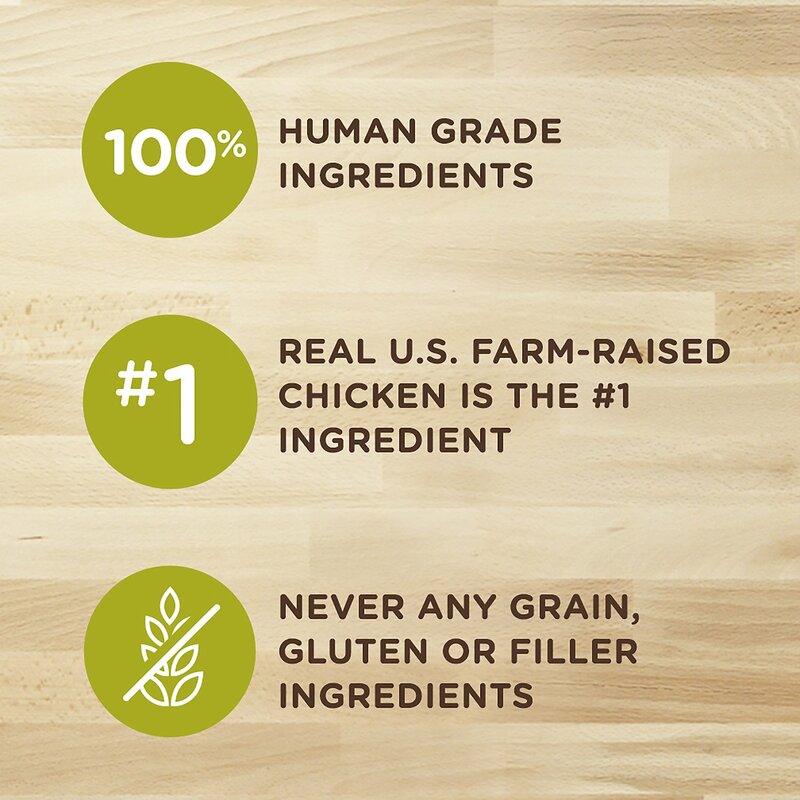 Proudly prepared and cooked in the USA using the world’s best ingredients for safety and quality you can trust. 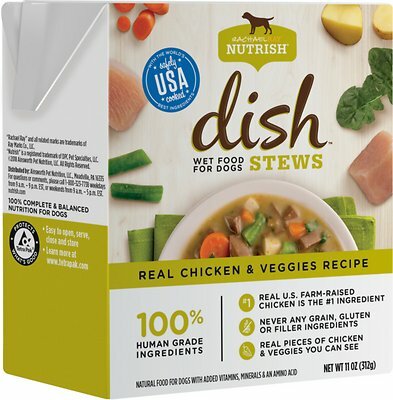 Chicken, Chicken Broth, Butternut Squash, Carrots, Spinach, Green Beans, Tapioca, Potatoes, Dicalcium Phosphate, Potato Starch, Potassium Chloride, Salt, Tricalcium Phosphate, Cod Liver Oil, Magnesium Amino Acid Chelate, Choline Chloride, DL-Methionine, Natural Smoke Flavor, Zinc Amino Acid Chelate, Iron Amino Acid Chelate, Vitamin E Supplement, Niacin, Calcium Pantothenate, Thiamine Mononitrate, Copper Amino Acid Chelate, Vitamin A Supplement, Riboflavin Supplement, Manganese Amino Acid Chelate, Pyridoxine Hydrochloride (Source of Vitamin B6), Dried Kelp, Folic Acid, Selenium Yeast, Vitamin B12 Supplement, Vitamin D3 Supplement. Adult dogs: Feed 1 1/4 cartons (11 oz, 312g) per 10 pounds of body weight daily depending upon your dog's activity level. After opening, refrigerate and use within 3 days. Be sure to provide plenty of fresh, clean water daily. Shake well. Do not microwave container.